After her eldest son was shot down while flying a B-17 and reported missing during World War II, Esther Blake became a woman on a mission — to enlist in the military herself and help end the war. 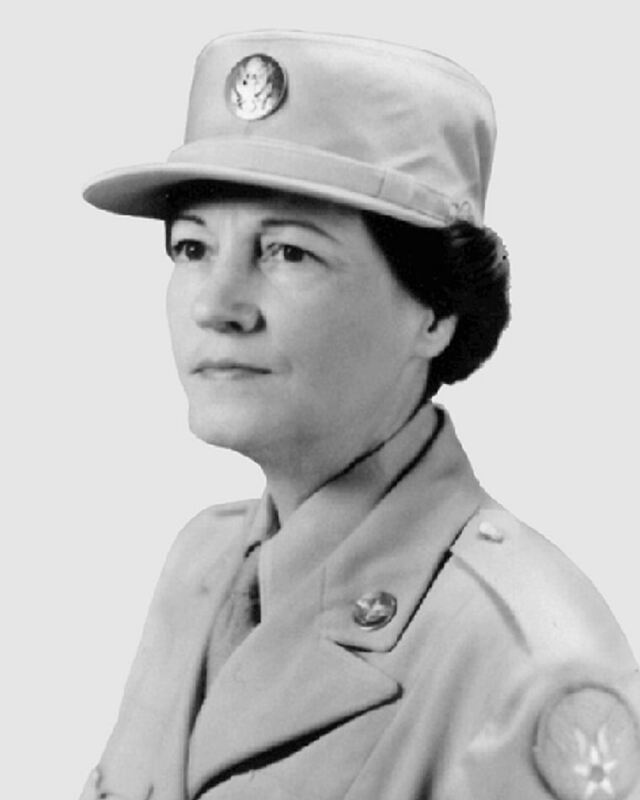 She joined the Women’s Army Corps in 1944 and, 69 years ago today, on July 8, 1948, the 51-year-old became the first woman to enlist in the Air Force. When her second son, also a pilot, was shot down later during World War II, her motivation was redoubled. “If she could go to fight and get the war over, then she was ready to serve,” Blake's granddaughter, Donna Hicks, told NBC News. Women were not allowed in combat at the time, but Blake wanted to free male soldiers from doing desk jobs so they could go into combat and bring her sons home faster, Hicks said. When her sons Julius Blake and Tom Blake returned home safely from the war, they found out their mother had enlisted in their absence. Hicks said they weren’t surprised. After President Harry Truman created the Department of Defense in 1947, the U.S. Air Force became a separate service, according the U.S. State Department. Women were accepted to the Women’s Air Force starting in July 1948, and Blake was there on day one. Blake wanted to hold the title of first woman in the Air Force, Hicks said. Blake served by taking on clerical work around the country, including in Georgia, Florida and Alaska. When she left the Air Force in 1954, she continued to work in the military at the Veterans Regional Headquarters in Montgomery, Alabama. By the end of World War II, women made up about 2 percent of the military and worked in clerical jobs as typists, clerks and mail sorters, according to the U.S. Air Force. As of June 30, women now make up nearly 20 percent of the Air Force, and just more than 20 percent of officers are women, according to the Air Force. The Pentagon opened all combat jobs to women in December 2015. Hicks said she thinks her grandmother would be proud and surprised to learn how many more women serve in the Air Force today. When Blake died in 1979, there still weren’t many women in service.